Red Oak Black Dyed Quarter Cut is a very much appreciated reference. Due to its clear structure and colourless tone fits perfectly for commercial facilities, music halls and exhibition spaces. For those kinds of uses, it is widely used to shape the furniture as well as to veneer walls. 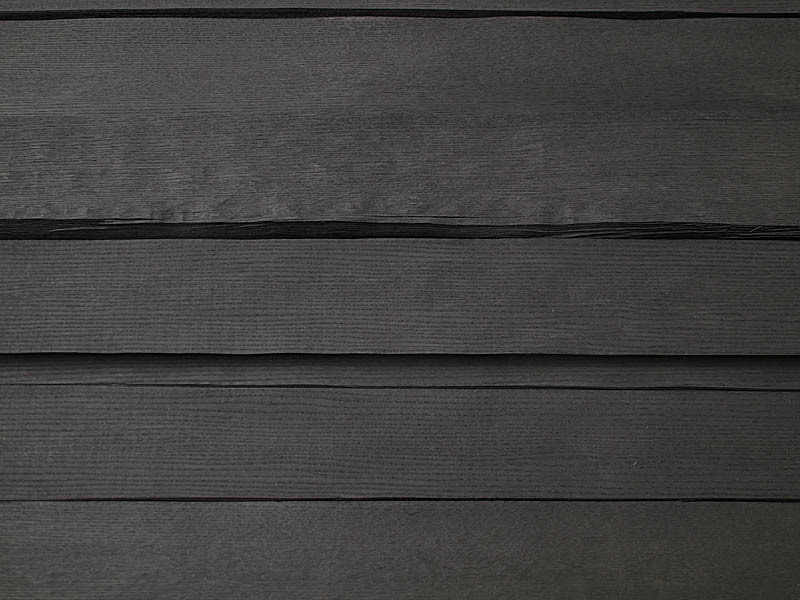 The combination of a clear structure of the figure and a dark colour makes possible a neutral wood surface. Red Oak itself is a widely used decorative veneer. Its grain and texture is very much appreciated in North America and Europe but the light tone of this wood specie is sometimes a limitative characteristic for some decorative purposes. For that reason CHANNEL VENEERS offers Dyed Red Oak, a modified wood where the natural colour of the wood is 100% under control to avoid undesiderated contrast. 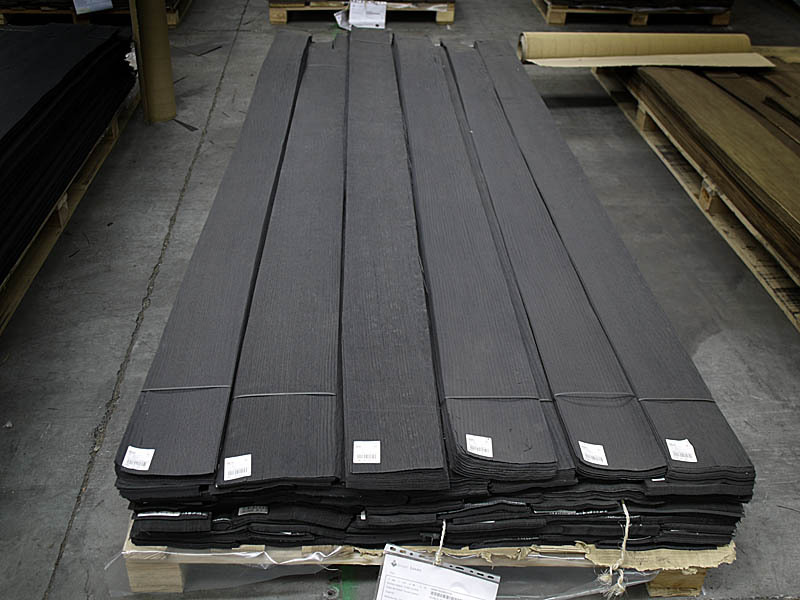 Red Oak Black Dyed Quarter Cut is a standard reference in CHANNEL VENEERS warehouses. 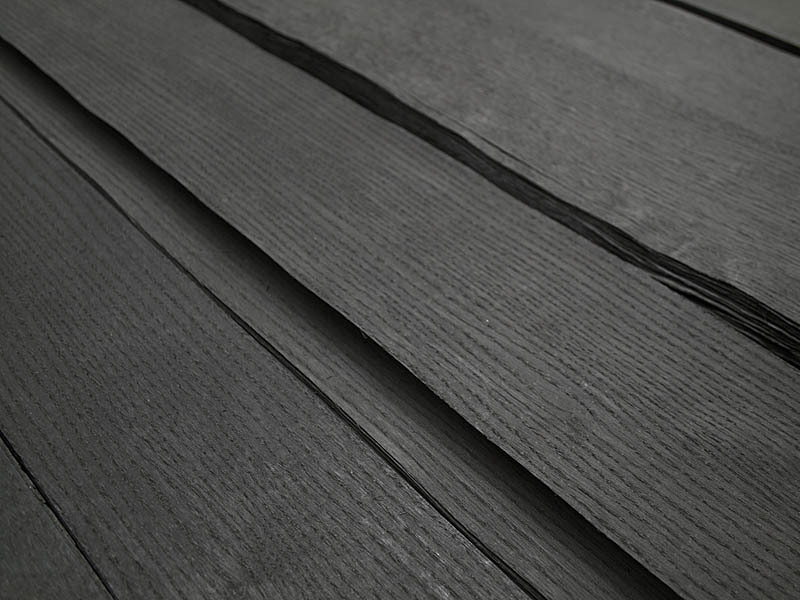 The Quarter Cut shows a straight grain structure while the Black Dying makes possible to offer a wood surface which is dark and colourless. The final product is not just darker; it is also desaturated and therefore easier to combine with other colours. Logs are choosen to avoid knots or sapwood and Quarter Cut is selected to avoid the presence of glossy ray flecks or complex figures. As a result of this production decisions, the final surface is neutral and nicely structurated. As shown above, CHANNEL VENEERS offers regularly Red Oak Black Dyed Quarter Cut. For special dimensions or large orders, production on request might be required. For further information related to this veneer or any other dyed wood, please contact directly with the company.